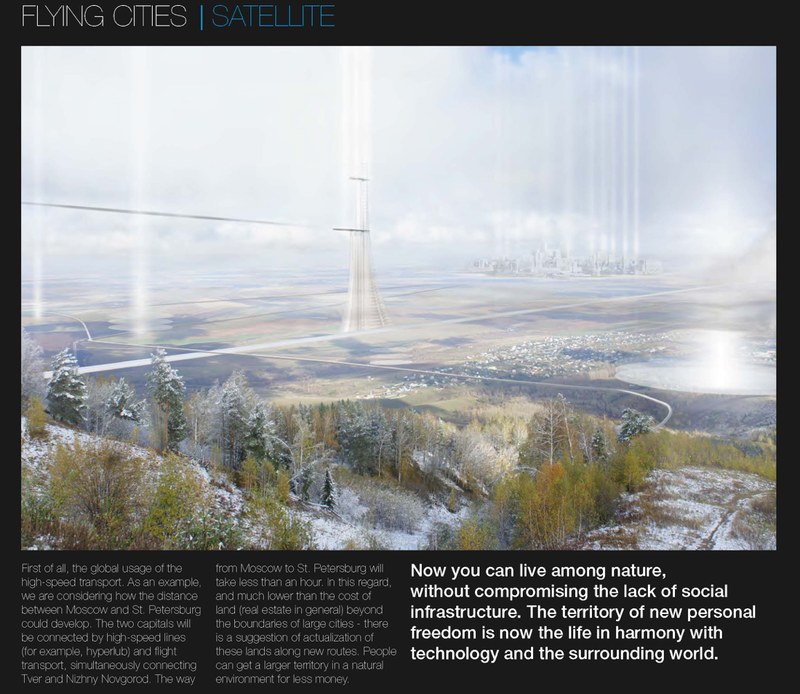 The Shukhov Lab in Russia has awarded the winners of their first Future Cities online competition “Cities for a Flying World.” The official Awards Ceremony was held at the Moscow lab on March 26, and the second online competition – “Cities for a Cold World” – has been launched. The competition aims to generate a discussion about life in extreme cold territories. It challenges participants to design a project related to the future of cities when the human habitat will be living in extremely cold environments and in conditions of global climate change. Shukhov Lab has the results of the first Future Cities Competition “Cities for a Flying World.” The online contest was open to young professionals from any field who were willing to create a new city infrastructure, new buildings, new device, new social platform or a mix of all of the above for a city where things start to fly. The contest was a research initiative in the parallel with the launch of a new Master’s Program ‘Prototyping Future Cities’ of the HSE Graduate School of Urbanism in Moscow. More than 600 students and young professionals from all over the world registered to take part in the contest. For the final stage, 93 proposals from 26 countries were submitted including USA, China, Russia, India, Vietnam and many others. Each project included a brief description of the concept and graphic materials, such as plans, elevations, digital models, drawings and photographs. 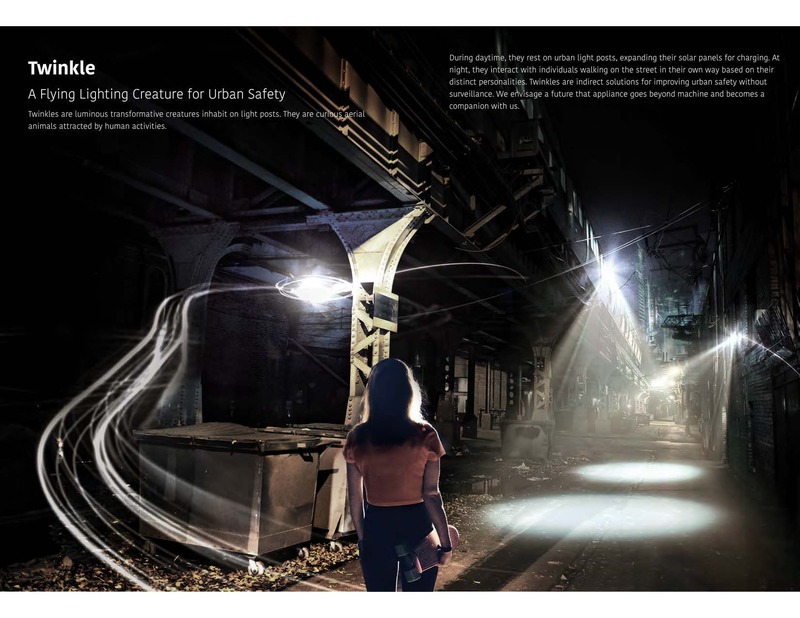 The winning award went to the project “Twinkle” by Honghao Deng and Jiabao Li (Harvard School of Design, USA), dedicated to the use of luminous transformative shapes on light posts. Nowadays the lightning leaves many unsafe perceptions and instigates crimes. “Twinkles” could be compared to aerial animals like fireflies, which are curious, playful and attracted by human activities. During the daytime, they rest expanding their solar panels for charging. At night, they interact with pedestrians to improve urban safety without surveillance. The second place was awarded to the project “Aerotopia” by Audrey Chan and Iskm Hon (UK). They were inspired by the current abusive use of energy in cities all over the world which may lead to the energy crisis in the nearest future. Building on the idea that in the nearest future we will have vertical airplanes and flying cars, “Aerotopia” proposes to bring the airport back to the city, back to people. It is about the airport which will be divided into different modules and scattered around the city, so it can cater the various needs. The “airport of the city” becomes “airport = the city”. The concept revitalises airport infrastructures to house different cultures and different people. 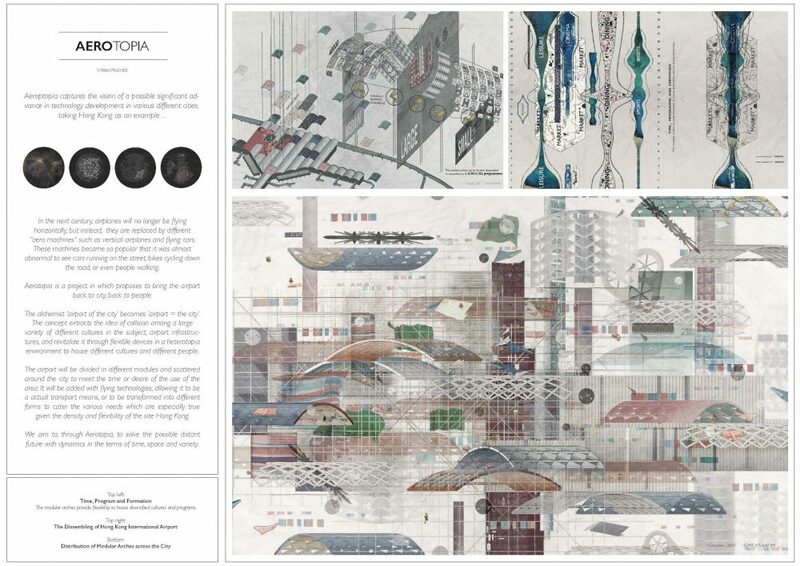 The third place was given to the project “Satellite City” by Olga Melnikova, Alexey Lotsmanov (HSE Art and Design School, Russia) and Vladislav Shlenov (Moscow Architectural Institute, Russia). Being excited about the idea of flying vehicles, they created a model of the satellite cities connected with megapolises by flying transport. The aim of the competition is to stimulate creative and research activity in order to generate insights and visions about the city of the future. Organizers were inspired by such modern projects as Uber Flying Cars, Hover Surf and Amazon Zeppelin and believe that flying technologies will transform the urban environment in the future. How will the city change with the flying vehicles? Will these cars fill the urban space like famous spinners in the cult sci-fi movie “Blade Runner” (Ridley Scott, 1982)? Can cars drive take of vertically, hover and cruise using the jet propulsion in the nearest future? If so, how will the city life, its infrastructure and social life change?